105m2 first floor office space Reception area plus 4 offices Kitchen and photo copy room Disabled access Ducted air conditioning Numerous phone and data points Front and rear access Plenty of onsite parking Highly visible building and pylon signage approx Please contact the listing agent for more details by clicking on the link above. Disclaimer: Ray White has not independently checked any of the information we merely pass on. We make no comment on and give no warranty as to the accuracy of the information contained in this document which does not constitute all or any part of any offer or contract by the recipient. Prospective purchasers / lessees must rely on their own enquiries and should satisfy themselves as to the truth or accuracy of all information given by their own inspections, searches, inquiries, advices or as is otherwise necessary. No duty of care is assumed by Orchid Avenue Realty trading as Ray White Surfers Paradise Commercial divisions toward the recipient with regard to the use of this information and all information given is given without responsibility. Paddington Landmark Building Expressions of Interest c..
Well positioned within Ashgrove's premier retail precinct, this property is along the tightly held Waterworks Road offering massive exposure to both directions of traffic. The premises is currently owner occupied serving as headquarters and studio for a Photography Business. Open plan layout comprised of a reception/entrance, office space, board room, photography studio, bathroom, kitchen and storage downstairs. Recently renovated, offering the new owner premium finishes and fixtures, the premises can be utilized as a retail or office space, a beautiful home, or remain a combination of both. 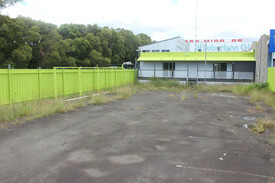 Motivated Vendor requiring reasonable offers on a rarely available freestanding property situated on 438m2 of land based on busy Waterworks Road. 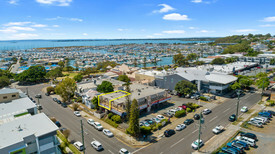 Ideally suit sub $1M Owner Occupier/Developer or Investor. 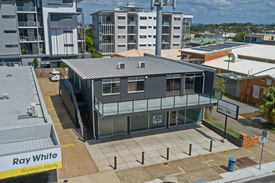 117m2 of Open plan space on first floor Fully air conditioned 3 exclusive use car parks onsite Top quality fixtures Premium exposure Ideal location and only minutes from the CBD For more information or to arrange an inspection please contact Richardson Wrench Commercial Brisbane North. Michael Willems is pleased to offer 6 well located retail commercial holdings in one of QLD fastest growing suburbs (Yarrabilba). 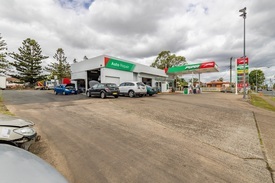 The strata titled commercial allotments are located within the newly constructed 'Meridian at Yarrabilba' development, adjoining the newly constructed Coles supermarket, Mcdonalds restaurant, medical centre and Caltex serves station. 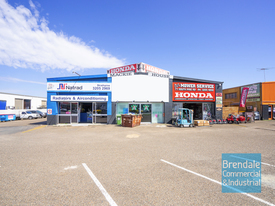 The property represents a fantastic opportunity to purchase a quality income producing retail investment in one of the country's highest growth. NOTE: Tenants pay all outgoings. Shop 1 2: Net Income $45,000 p.a. Shop 3: Net income $27,300 p.a. Shop 4: Net Income $27,300 p.a. Shop 5: Net Income $27,300 p.a. Shop 6: Net Income $31,030 p.a. Shop 7 8: Net Income $95,000 p.a. Located right next door to Coles McDonalds and adjoins the site which will become home to the Yarrabilba hotel. Must be sold due to other commitments. Don't miss this golden opportunity Well positioned between Brisbane's CBD and the Gold Coast, the Yarrabilba community is fast taking shape, with residents already enjoying shopping, schools and community facilities at their doorstep. Many more facilities are planned from a major town centre with specialty stores, cafes and restaurants, to village centres, business precincts and up to 11 schools^. Local employment opportunities wil grow as the community blossoms. From the business hub to the future town centre, there are plans for more than 13,000 jobs on site, including plenty of possibilities for home based businesses^. Yong Commercial is pleased to offer a retail shopping centre for sale at one of the Gold Coast's premier locations Ormeau Town Centre. 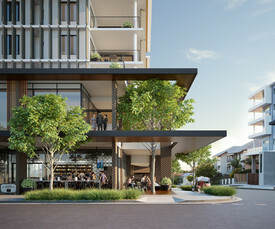 Ormeau Town Centre is located within the Brisbane to Gold Coast corridor, approximately 40km North West from Surfers Paradise and 50 Km South East of the Brisbane CBD. This is a high growth residential corridor which is expected to see over 26% growth within the Main Trade Area reaching close to over 32,000 people by 2026. The centre is situated within a high profile location at the corner of Peachey Road and Vaughan Drive with direct access provided via the M1 Pacific Motorway, which is approximately 500 metres away. Ormeau Town Centre represents a fantastic retail opportunity located in the heart of this fast growing neighbourhood of Ormeau. The Ormeau Precinct includes well established operators such as Drakes IGA, Dominos, Snap Fitness, Chemist Warehouse, Medical Centres, Post Office, Gold Lotto Newsagency, Child Care Centres, Fitness Centres, Woolworths and other retailers at this high profile location with direct access to the M1 Pacific Motorway. Key features include: 8% Net return based on fully leased income with 1 year rental Guarantee Well established convenience based neighbourhood shopping centre anchored by a 1,846sqm Drake's SUPA IGA Diverse tenancy profile of both national & strong performing local retailers, with approx 63% of income provided by national tenants Drake's, Dominos and Snap Fitness Strong income growth with fixed annual rent reviews between 2.50% and 5.00% for all tenants Dominant corner site within Ormeau's central retail precinct with direct access to the Pacific Motorway Situated in growth catchment with MTA retail spend to grow by 5.69%p.a. to $676.5 million in 2031 ^ 9 shops ( Can be divided into smaller shops) NLA 3076m2, Land size 5170m2 Access to grease trap Centre has great signage opportunities Ample onsite customer parking Close to public transport and M1 Pacific Motorway 3 mins drive to Yatala's industrial hub Empire Industrial Estate :The largest industrial estate on the Gold Coast. (The estate will contribute over a billion dollars to the Gold Coast economy and create thousands of jobs for surrounding areas. Once completed, Empire Industrial Estate will host 550,000sqm of building cover in 10 Staged lots ranging from 2100sqm to 300,000sqm.) 9 Shops: Shop1 1846m2 Shop3 138m2 Shop4 72 m2 Shop 5 86m2 Shop6 141m2 Shop 7A 82m2 Shop 7B 58m2 Shop 8 160m2 Shop 11 493m2 Price: Contact agent Inspection: By appointment Address:29 Peachey Road Ormeau QLD Contact: Conan Li 0404 617 767 (07 3373 9887) Email: conan.li@yong.com.au Peter Huang 0418 888 889 (07 3373 9808) Email:peter.huang@yong.com.au Tom Zhang 0432 422 388 Email: tom.zhang@yong.com.au Disclaimer: We have in preparing this information used our best endeavours to ensure that the information contained herein is true and accurate, but accept no responsibility and disclaim all liability in respect of any errors, omissions, inaccuracies or misstatements that may occur. Prospective purchasers should make their own enquiries to verify the information contained herein. Approx. 310m2 fully fitted restaurant in place Operate straight away, no renovation time All the previous equipment is provided, including exhaust, cool rooms etc 3 basement car spaces included in rental plus more than 100 visitors off street Right next to the iconic La Dolce Vita at Savoir Fair Don't miss the opportunity to inspect today! Milton is an inner suburb of Brisbane, Australia, approximately 2 kilometres west of the central business district. The suburb is a mixture of light industry, warehouses, commercial offices, retail and single and multiple occupancy residences. The main roads are Milton Road, which runs beside the main western rail line and Coronation Drive, which runs along the Brisbane River. Approx. 933m2 all in one solution Excellent fit out Ducted air conditioning through out the premises Separate male and female amenities, with showers Currently used as a yoga studio/chiropractor Secure fully fenced property Contact Marketing Agent now to arrange a inspection! Browns Plains is located approximately 24kms from the Brisbane CBD. The precinct provides direct access to the Mt Lindesay Highway, which in turn provides access to the Logan Motorway. Browns Plains is also a terminus for Brisbane City bus routes, making it an important transport hub connecting Logan City and Brisbane City bus routes. Ideal Owner Occupier Or Astute Investor Opportunity $330,000 + GST (if applic..
Ray White Commercial TradeCoast are pleased to present shop 9 / 196 Wishart Road, Upper Mount Gravatt to the market. On offer is a 47m² retail / office / medical suite which is being sold as a vacant possession. the property is located within the Wishart Square shopping village which has proved a successful home to many businesses. 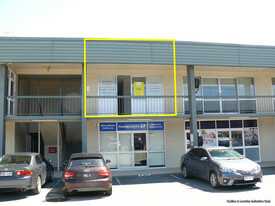 Property specifics: 47m² of open plan retail / office space Glass shopfront with sliding door Kitchenette at rear of tenancy On grade and undercover parking signage and exposure opportunities to a busy main road intersection Suit owner occupiers and investors Join neighbouring businesses such as Pepperonis Italian, Life Law, Southside Friendly Dental, Indigo Cut Colour Mansfield Physio Works. approximate only This property is listed for sale via Private Treaty Sale Price $330,000 + GST (if applicable) To learn more about this property and to schedule an inspection please contact the Exclusive Ray White Marketing agents. 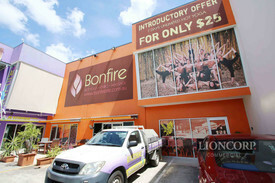 Yong Commercial is pleased to offer retail shopping centre for sale at Sunnybank Hills Shopping Village jackson road. Location: Sunnybank Hills is located approximately 14 Kilometres south of the Brisbane CBD. The centre is positioned on the corner of jackson and hellawell roads allowing for great accessibility to the entrance of the shopping centre Site Area 9706m2 subject to a volumetric easement for the tavern lot, reducing the ground level usable area accordingly. 1402m2 net lettable area with 16 tenancies 120 ground level car parking bays + Ambulance bay high volume of walk past traffic Sunnybank is regarded as a middle class to upper end business class with a large Asian & Indian population base. 2015 census recorded a population of 51,049 residents with an average age of 33 years in the suburb of Sunnybank Hills The Centre comprises a mix of complementary retail and commercial tenants including medical, supermarket, food and beverage and professional services. WALE 6 years Price: Contact agent Inspection: By appointment Address:397 Hellawell Road Sunnybank Hills QLD Contact: Conan Li 0404 617 767 (07 3373 9887) Email: conan.li@yong.com.au Disclaimer: We have in preparing this information used our best endeavours to ensure that the information contained herein is true and accurate, but accept no responsibility and disclaim all liability in respect of any errors, omissions, inaccuracies or misstatements that may occur. Prospective purchasers should make their own enquiries to verify the information contained herein.